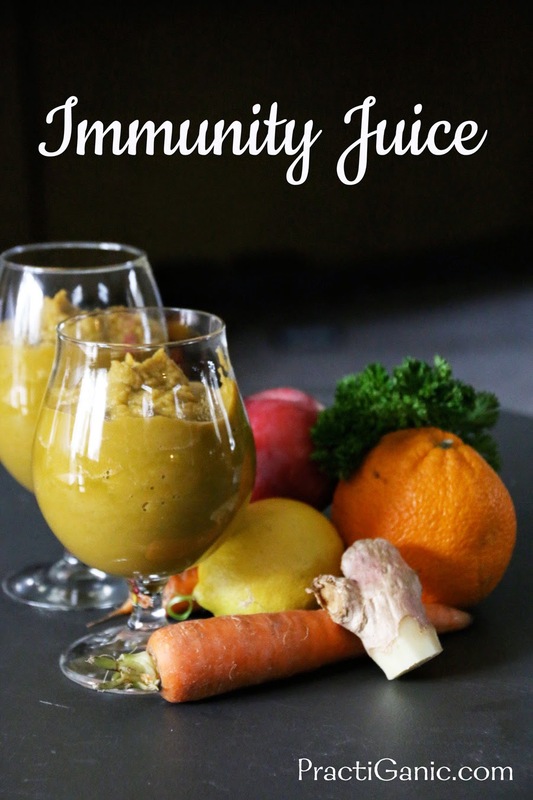 Immunity Juice: Build Your Immune System Now! It's getting to be that time of year ... every where I turn there seems to be a runny nose or coughing. No matter what you do, it's hard to avoid it. The best thing we can do it try to boost our immune systems avoiding it completely or at least making the cold not as severe. 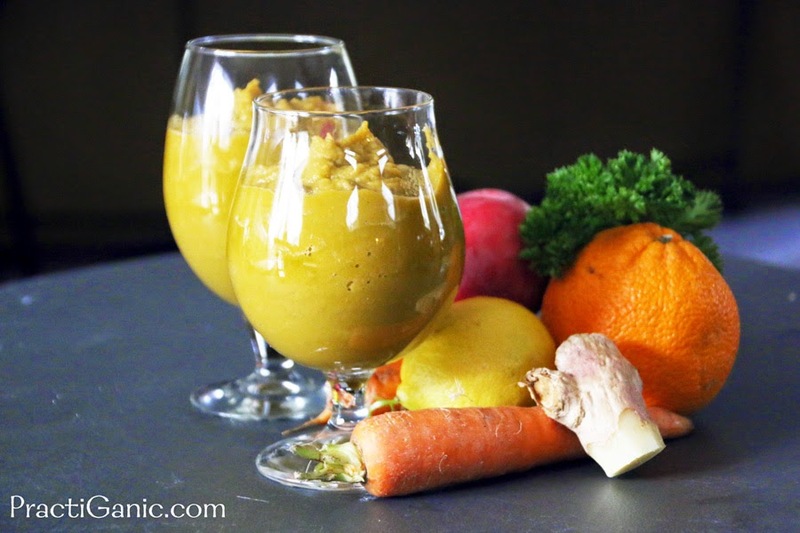 This is a great juice for building your immune system! Carrots: Carrots are high in Vitamin A and C and of course beta carotene. Beta carotene helps support your body's mucus membrane which lines the respiratory system, helping fight off icky bacteria. Oranges: People always tell me to drink orange juice when I have a cold however, it's best before a cold. You need to boost your immune system before it is compromised. I'm not saying stay away from OJ when you're sick, but don't forget about all that good Vitamin C when you're healthy too! Apples: An apple a day ... yup, it's true. New studies show that apples' soluble fiber can help boost your immune system. I'll take an apple over a doctor bill any day! Lemon: Lemons are simply amazing. I eat them, drink them, clean with them ... they are so diverse. Luckily, my house is always stocked with fresh lemons so I am squeezing lemon juice into everything. They are filled with antioxidants and Vitamin C making your body less susceptible to sickness. Thank you again, mighty lemon! Ginger: I've always loved ginger because it can calm an upset stomach but it also good for when a cold is coming on or has already hit. It is soothing and can even help clear up phlegm. Parsley: I've recently been told that parsley is the original and still is best super food. It's an antioxident and has more Vitamin C than an orange. Don't overlook this herb or just use it as decoration on your plate, but start adding it to more of your juices and meals! Cinnamon: Cinnamon does more that boost your immune system. It's antiviral antifungal and antibacterial which means it's anti- cold and flu season! Put all ingredients into your blender and mix until it is smooth. Add more ice if needed.